Rhona McCord tells the story of the Irish state’s first attempt at public housing, at Marino in north Dublin in 1924. The focus of the Cumann na nGaedheal administration, led by W.T Cosgrave, on suburban housing was directly influenced by more than fifty years of crises and reports into living conditions in the Dublin slums. The shift in direction from flat dwellings to suburbanisation and subsidised home ownership had two main advantages, firstly it tackled the serious problem of living conditions and overcrowding which were associated with the spread of communicable disease and secondly it played a role in consolidating the new state. The housing initiatives embarked upon by the first government were intensified under the Fianna Fáil administration. Municipal government under Cosgrave built an estimated 26,000 houses, while twice as many were built within the first five years of the Fianna Fáil administration. This essay will examine the achievement of the first significant building scheme by Dublin Corporation at Marino on the northside of the city. With a focus on the political and social ideas which influenced its conception and its perceived successes and failures. The movement towards working class housing coincided with an increase in labour militancy. The implementation of housing policies played a significant role in consolidating the new state and its government against this potential threat to its stability. The alleviation of poor housing conditions was likely to circumvent future social unrest and also helped to consolidate political support. 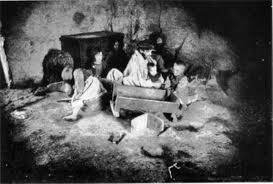 The Irish Free State inherited a dire housing problem and alleviating social unrest was seen as crucial to the state’s security. Security of the state was paramount after the civil war and any threat of a return to conflict had to be dealt with either through repression or concession. A general fear of Bolshevism had swept through Europe and it was felt that Ireland with a large agricultural population and high levels of unemployment was in danger of a social uprising. On a psychological level, home ownership connected people to the state in a very tangible way. The fact that a native government could tackle the housing problem with any degree of success where the British administration had failed served the propaganda of the new state. Dublin Corporation had began to tackle the issue of working class housing before the advent of Home Rule, although with little success. It was not until after 1922 however, when the Cosgrave administration gave these efforts a huge financial boost with a state grant of £1m, that the Corporation had an opportunity to fund a significant and good quality housing scheme. Poverty in the Dublin slums. The strike, which was initially for union recognition, highlighted the appalling living conditions of Dublin’s workers. The housing inquiry of that year revealed Dublin slums as the worst in the U.K. With a population of 304,802 an estimated 45% to 50% lived in second class accommodation. The inquiry claimed that over 60,000 people were in need of re-housing. The migration of unemployed farm labourers to the city compounded the problem; ‘chronic surplus of workers militated against efforts to increase wages or enforce trade union recognition’. It has been argued that it was fear of social strife which led to state intervention in housing in Ireland: ‘Planned working-class suburbanization began in Ireland in the early twentieth century, coinciding with a period of labour unrest and serious housing problems’. 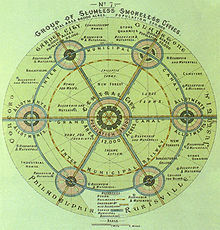 The housing model for social reformers in early 20th century Britain andIreland was that of the ‘Garden City’, first envisaged by Ebeneezer Howard in 1898. Howard saw the city slum as morally and physically corrupting and hoped to replace them with out-of-town suburbs, surrounded by parkland and connected to the city centre by public transport. His vision would have a considerable influence on early public housing initiatives inIreland. Ebeneezer Howard's concept, the 'Garden City'. The town planning debate which began in England was supported in Dublinby O’Rourke and town planners Patrick Abercrombie, Geddes and Unwin. Before state intervention, the initiative to build homes for the working class in Dublin had been left to private philanthropic groups such as the Iveagh Trust and employers such as Guinnesses and the Western Railway company. Some small developments in the suburbs such as Killester and a corporation scheme at Clontarf had also been built. F.H.A. Aalen pointed to the logic of Geddes’ approach: ‘The piecemeal and scattered housing schemes of the corporation and the D.A.D.C. (Dublin Artizans Dwellings Company) had contributed to the incoherent growth of the city’. If the corporation went ahead with a large scale relocation to the outskirts then it would need to conduct a civic survey in order to develop a coherent plan. The idea of state responsibility for housing was gathering momentum. A precedent had been set at an earlier scheme at Bowe Lane in 1889 when the Corporation accepted a financial loss in order to build working class homes. The site for the first major public housing initiative in Ireland was the north Dublin suburb of Marino. The idea of a garden suburb at Marino was first suggested at a meeting in Clontarf when the holder of the land, James Walker indicated his willingness to make his 50 acres available to the Corporation for the building of a garden suburb. In 1914 town planners Patrick Geddes and Raymond Unwin prepared a plan for 1,100 houses at Marino on a 96 acre site with a density of 111/2 houses per acre. The Corporation gained control of the land in 1915 but the outbreak of the First World War put plans for the scheme back for the following four years. Developments in the U.K. housing policy post war impacted on the Corporation’s plans. The Tudor Walters report of 1918 set out minimum standards for housing conditions and densities. The following year a housing manual was published in the U.K. and adopted by Dublin Corporation which provided for standard layouts for housing. The city architect Charles McCarthy proposed a scheme of 600 homes on the 50 acre site at a density of 12 per acre at a cost of £659 per house or £395,000 for the entire scheme. O’Rourke was the architect responsible for the rebuilding of O’Connell Street in the 1920s – it having been severely damaged in the fighting at Easter 1916 and on the outbreak of Civil War in 1922 – and was an advocate of town planning ideals. The debate on housing had moved away from high density flats towards the advantages of the garden suburb. In terms of public health, a move away from built up cities to the fresh air of the outlying suburbs was believed to be better for the health of the people and a preventative measure against the spread of diseases. O’Rourke presented a number of drawings of different style and size houses. His plans were to develop five and six roomed houses containing either two or three bedrooms. He developed a scheme of alternating blocks of houses in blocks of eight, six and four with gardens at both the front and rear. Each block had a different design with different frontage and fenestration, so as to break up the monotony of rows of similar houses. The houses were to be laid out in a ‘radial plan’ – like the spokes of wheel – allowing each home a view of the central green area. The houses were designed to be of high quality and provided new space – a world away from the cramped tenements of the city. The plans for his ‘Type H’ house included scullery, coal shed and an area in the hallway marked with the words pram/bike, the idea of storage space would have been a luxury to many. It is also indicative of the layer of working class who would benefit from this scheme, those with jobs who could afford a bicycle. Travel was to become an important issue for the Corporation’s plans as most jobs were located in the city centre, workers would need easy and affordable transport from the new suburb to their place of work. 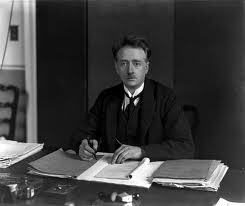 Cosgrave was unhappy with the rates offered and emphasised to Thompson and the Banks’ Committee that, ‘the real interests of the Banks and their depositors are involved even more closely than those of the community generally in a project which provides employment on building houses’. Thompson’s reply of 20 April offered a reduced 41/2% rate. Local authorities were encouraged to submit their plans as a matter of urgency if they wanted to avail of the Government subsidy. In September 1923 the Corporation adopted a general policy regarding housing schemes. On the same date a motion was carried to begin work on section I of the Marino housing scheme. Work at the site located between the Malahide Roadand Fairview Strand on the old estate of Lord Charlemont began in 1924. The architect for the first 428 parlour style houses was F.G. Hicks. It is clear that the scheme was intended to be a high quality model and the emphasis on the use of Irish materials was indicative of the state’s drive for economic self sufficiency. Building was due to start in March of 1924 but was held up for several months due to strike action by members of the ITGWU. In the meantime the corporation pushed ahead with their plans and advertised for tenders for the next phase of the scheme. John Kenny & Sons who won the bid for the first phase were again the lowest bidder and were contracted to build a second phase at Croydon Park. This had also been the case at Fairbrothers Field, the first tenant purchase scheme implemented by the Corporation in 1922. At Fairbrothers the Corporation insisted on a £10 deposit which then had to be reduced to half of that because of lack of interest. Only families with a minimum of four children could avail of the scheme at Marino. A lottery system was then put in place for the distribution of the houses. On the 13 June 1925 the Weekly Irish Times carried a feature on the 4,400 applications received for the completed 248 houses at Marino. The Times attempted to explain the gravity of Dublin’s housing shortage, ‘The people who will be lucky enough to get the new houses, and will be able to pay for them, are not slum-dwellers in the conventional sense of the term; in fact, they are among the aristocracy of labour in Dublin.’  The number of applicants is a good indication of the depth of the housing crisis, 248 new homes was a drop in the ocean in the context of the housing needs of the city as a whole. However the scheme did attract much praise. The Irish Architect in 1988 referred to Hick’s and O’Rourke’s ‘striking radial plan’. McManus in her works on the Dublin suburbs remarked that Marino was ‘probably the most successful housing scheme ever undertaken by Dublin Corporation’. Apart from the innovative design and well built houses the use of new heating methods was also highly praised. An article from the Irish Times told of the ‘Interesting Demonstration at Marino Housing Site…Over a thousand people visited the three Demonstration houses equipped by the Gas Company’. Regardless of how well the scheme was greeted there were numerous problems at Marino. Work was delayed by almost six months due to a labour strike over union recognition. When that was resolved a number of other on site problems arose over the use of non-Irish materials. The Deptartment of Finance remained a conservative force after independence; instead of introducing radical policies it relied on a form of economic nationalism which emphasised the need to use Irish products even if they were inferior. Unemployment was at chronic levels in theFree Stateand protection of Irish jobs was seen as crucial. Large building works like Marino raised the job expectations of many unemployed. Fears had been raised previously by a decision to grant 174 permits to German workers hired by Seimens for the Shannon Hydro-Electric scheme. Divide and rule? Housing policy in the Free State. But the role it played in stabilizing the new state should not be underestimated. Dividing up a previously very centralised working class population both physically and in terms of those who could afford to avail of tenant purchase and those who could not, helped to alleviate the threat of civil unrest within the slums. By supporting a policy of home ownership the government was giving to the higher layers of the working class a vested interest in the state and a reason to support the status quo. The Corporation housing scheme at Marino was the first significant development carried out by the Corporation. Built over three phases it provided 1,500 working class homes and eventually linked Glasnevin and Marino to the coast with the completion of the100 Foot Road(now Griffith Avenue). This was the beginning of a policy which was continued with much more vigour by the Fianna Fáil administration in the 1930s and 40s with the building of large housing estates at Cabra and Crumlin. The Fianna Fáil government took a more pragmatic approach and built smaller homes of a lower quality. Their policy was popular nonetheless and gained them considerable political support in the suburban constituencies. The scheme at Marino was the beginning of a wider development of the city and its suburbs. The result was a de-population of the city centre and the establishment of new large suburbs in the north, south and west of the county. As the population of Dublin grew the garden suburb continued to be the favoured housing solution. Home ownership with a partnership of public and private building works reflected the ideology of the new middle class leadership of the state. The scheme at Marino proved to be the best expression of these ideals. Marino was intended to be a model; it was innovative and revolutionary in design but proved too idealistic and too expensive to be repeated. The significance of the scheme was more than its unique design and high quality it was the acceptance of the need for financial investment by the state to solve Dublin’s housing crisis. Parliamentary papers; Report of the Departmental committee to Inquire into the housing Conditions of the working Class in the City ofDublin, (Cd. 7273), 1914. Department of Finance report 16 March 1922 F1/114, National Archives. Dublin City Archive, Dublin City Corporation Minutes 1923, 1924, 1925, 1926. Dublin Corporation Report number 309, 1923, Dublin City Archives. Dublin Corporation Drawing and plans by Horace O’Rourke city architect 1919, Dublin City Archives. Bannon, Michael J., (Editor), The Emergence of Irish Planning 1880-1920 (Dublin, 1985). Bromage, Arthur W., and Bromage Mary C., ‘The Housing Program in Ireland’ in The Social Service Review Vol. 16, No. 3 (Chicago,1942). Cole, Ian & Furbey, Robert, The Eclipse of Council Housing (London, 1994). Daly, Mary, E., Dublin the Deposed Capital: A social and Economic History 1860-1914 (Cork, 1984). Damer, S., Housing Policy and the State (London, 1980). Doling, John, Comparative Housing Policy: Government housing in advanced industrialized countries (New York, 1997). Fahey, Tony, (editor), Social Housing in Ireland: A Study of Success, Failure and Lessons Learned (Dublin, 1997). Gallagher, Michael, Irish elections 1922-44: Results and Analysis (Limerick, 1993). Keogh, Dermot, The Rise of the Irish Working Class (Belfast, 1982). McManus, Ruth, Dublin, 1910-1940: Shaping the City & Suburbs (Dublin, 2002). McManus, Ruth, ‘Blue Collars, “Red Forts,” and Green Fields: Working-Class Housing in Irelandin the Twentieth Century’ in International Labor and Working-Class History No. 64. (Cambridge, 2003). Murphy, Frank, ‘Dublin slums in the 1930s’ in Dublin Historical Record Vol. 37, No.3/4 (Dublin, 1984) pp. 104-111. Yates, Padraig, Lockout Dublin 1913 (Dublin, 2000). Dictionary of Irish Biography, http://dib.cambridge.org.elib.tcd.ie/ accessed 28/10/2010. Report of the Departmental Committee appointed by the Local Government Board to inquire into the housing conditions of the working classes in the city of Dublin, 1914 in the House of Commons Parliamentary Papers, 2006. pp. 3 & 4 sections 9 and 10. The Treasury of the Provisional Government, Department of Finance Report 16 March 1922, F1/114, ref: LG.878. National Archives. Daly, Dublin the Deposed Capital p. 80. Ruth McManus, ‘Blue Collars, “Red Forts,” and Green Fields: Working-Class Housing in Ireland in the Twentieth Century’ in International Labor and Working-Class History, No. 64, pp. 38-54 (Cambridge, 2003) p. 38. S. Damer, Housing, Social Policy and the State (London, 1980) p. 78. Report of the Departmental Committee section 70, p. 26. F.H.A. Aalen, ‘The Working Class Housing Movement in Dublin, 1850-1920’ in Michael J. Bannon, (Editor), The Emergence of Irish Planning 1880-1920 (Dublin, 1985) p. 175. D.A.D.C. (Dublin Artisans Dwelling Company)was a philanthropic group which built 3,300 homes up to 1907. McManus, Dublin, 1910-1940: Shaping the City & Suburbs p. 182. Horace O’Rourke, Dublin Corporation Records, Dublin City Archives, Suburb at Marino 1918-1923. ‘Dublin’s Labour Problem’ Irish Times 4 September 1913. Suburb at Marino sheet number 4 plan types G,H,I,K. The Treasury of the Provisional Government, Department of Finance Report 16 March 1922, F1/114, ref: LG.878. Letter contained in the Treasury of the Provisional Government file no. F1/114. Dublin Corporation Report no. 309, 1923, p 769. Minutes of Dublin City Corporation, Vol. 1., 17 September 1923 p.769. Irish Builder and Engineer 27 January 1923. ‘Houses and Men’ Weekly Irish Times 13 June 1925. ‘A housing Scheme’ Irish Times 13 May 1925. Irish Independent, 18 September 1923. David O’Conor, ‘Housing in Dublin 1887-1987’, Irish Architect Vol. 67 June/July/ August 1988, p. 31. Irish Times 24 April 1925. Dail Debates, Dail Eireann, Volume 13, 3 November 1925. Dail reports Irish Times 14 November 1925. Dail Debates, Vol. 13, 13 November 1925. Frank Murphy, ‘Dublin Slums in the 1930s’ in the Dublin Historical Record, Vol. 37, No. 3-4 (June /September 1984) p. 111. Michael Gallagher, Irish elections 1922-44: Results and Analysis (Limerick, 1993). P. 55. Written by: Rhona McCord on 7 September, 2011. Last revised by: Eoinpurcell25 June, 2012. 9 Responses to "A Garden City – The Dublin Corporation Housing Scheme at Marino, 1924"